Most preschool-age children and infants in Alleghany County live in families where all parents or care givers work outside the home. These families are struggling to afford quality early education due to rising costs of inflation rates per child. Without it, parents can’t work. We support child care centers and their commitment to improving the quality of care for infants and toddlers in our county through teacher education, providing training, mentors, and group and onsite training. Participating centers develop classroom improvement plans utilizing customized strategies to meet quality improvement goals that help to increase or maintain their star ratings.  The Alleghany County Partnership for Children funds a variety of programs and services to help ensure all young children are healthy and ready to succeed when they enter kindergarten. Additional information about our programs and services is available by clicking the links below or contacting our office at (336) 372-2846.